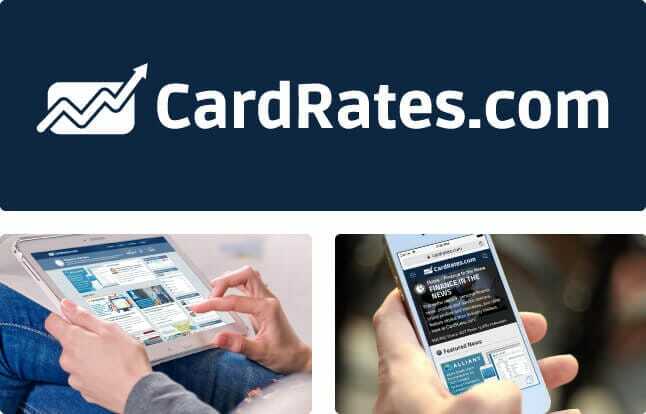 CardRates.com was created with a singular goal: to better educate consumers about the benefits and perils of credit cards. We aim to consistently provide the most trusted information on the web. View our media appearances as well as non-profit, government and industry citations below. CardRates is regularly relied upon by leading national news outlets to provide expert commentary on various financial topics. Below are a few select appearances where you can find our resources referenced and experts weighing in on the latest industry news. In our continuous efforts to provide the highest-quality information and resources, we often interview nonprofit and government organizations with valuable products, free services, and important advocacy efforts to help highlight how they may be of service to our readers' financial well-being. We spoke with SIPC President and CEO, Stephen P. Harbeck, about how the organization protects investors against loss of assets due to brokerage firm bankruptcy. Bruce Mcclary shares the importance of being willing to have the hard debt conversations with your family or a trained professional to determine an action plan. Josh Fryday, President of CalEITC4ME, shares how the program helps underserved families and is hailed as one of the most effective anti-poverty tools in the U.S.
Pension Rights Center Legal Program Director, Emily Spreiser, shares how the center fights for earned pension benefits and achieves legal and policy victories. Rebecca Wiggins, Executive Director of the AFCPE, tells us how their professionals bring diverse perspectives to financial counseling and coaching. We spoke to professor and researcher, Jacob D. Leshno, about his findings on the volatility within cryptocurrency and blockchain technology. Ohio State's Itzhak Ben-David led a study that suggests the impulsivity that results from ADHD can cause financial distress in adults. Executive Director John Jacobs shares how the Georgetown Center for Financial Markets helps students understand how organizations use FinTech to improve processes. We spoke with the edX team about six free courses on its platform that can help change one's financial future, led by the world's top professors. GovTrack Founder Joshua Tauberer spoke to us about how his site provides fact-based information on the latest legislation that's free of financial influence. We're proud to support established banking institutions and up-and-coming tech companies by sharing their storied histories and unique startup challenges, how their teams go above and beyond to help their customers, and how they're adopting the latest technologies to meet industry — and consumer — expectations. Senior Vice President of Retirement, Ken Hevert, shares how Fidelity's tools simplify retirement preparation to help Americans reach financial independence. We spoke with Aaron Vermut, Prosper CEO, about how his P2P marketplace offers fair interest rates for borrowers and competitive returns for investors. Rebecca Schultz, Senior Director of Transactional Products for Ally, shares the various benefits and perks of the Ally CashBack Credit Card. Our team covered the Capital One and ORC International survey regarding how long security lines affect travel and how the right credit card can help alleviate wait times. We spoke with Global Media Relations & Corporate Communications for H&R Block about their experts help consumers understand complicated tax code. Moneyish Reporter Catey Hill sought our opinion on reformed credit laws and what consumers should know about freezing their credit reports. We interviewed Avia Kay, Vice President of Borrower Marketing, to hear the ways LendingClub is a win-win experience for borrowers and investors alike. The Motley Fool referenced our credit card data to compile an article 5 of the Most Exclusive Credit Cards and Their Surprising Annual Fees. We spoke with John Hsieh, Vice President of Product at SoFi, to discuss the pros and cons of refinancing student loan debt and what's next for SoFi. Dan Marostica, Vice President of Consumer Protections, tells us how Western Union's fraud education resources help lower consumer money transfer fraud. Find our official media assets and logos below, as well as information on contacting our nationally-recognized finance experts. Our experts appear regularly on nation television programming and are interviewed frequently by online news outlets. Find official brand logos and other multimedia assets on our media page. Looking for an expert source for your upcoming news story? Our finance experts have been featured in and contributed to a variety of national media outlets including CNN Money, MarketWatch, Yahoo! Finance, Entrepreneur, NBC News and many more. They are available to provide expert insight on a variety of personal finance topics. Learn more about our experts or contact Ashley Dull, Media Relations Manager at (888) 217-5962 ext. 808.